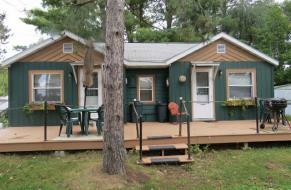 Cabins 1&2 are single bedroom units that are side-by-side, not directly on the lakeshore. 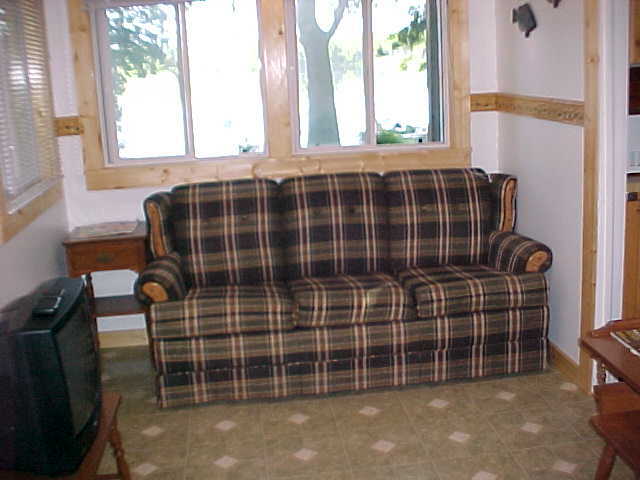 Each has a queen-size bed. 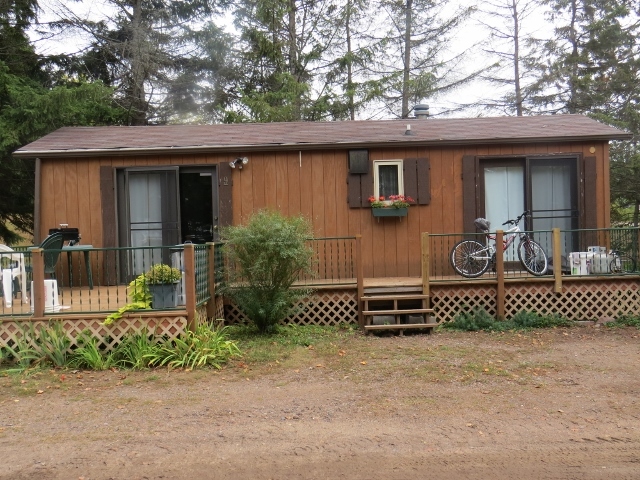 Cabin 5 is lakeside. 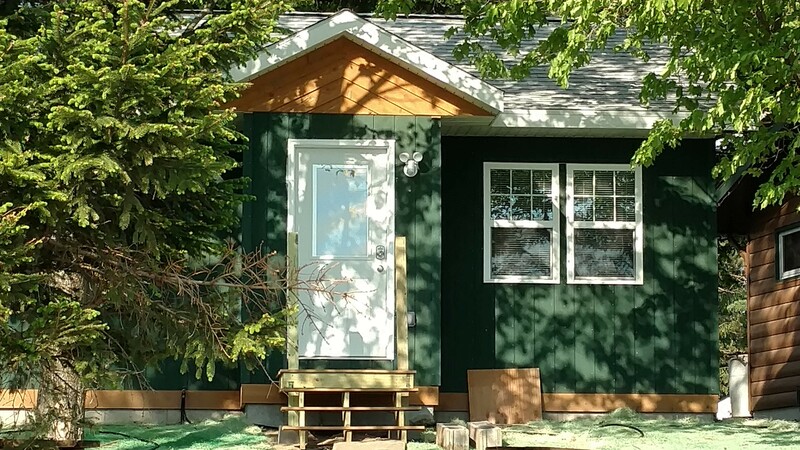 #5 is a three-bedroom cabin. 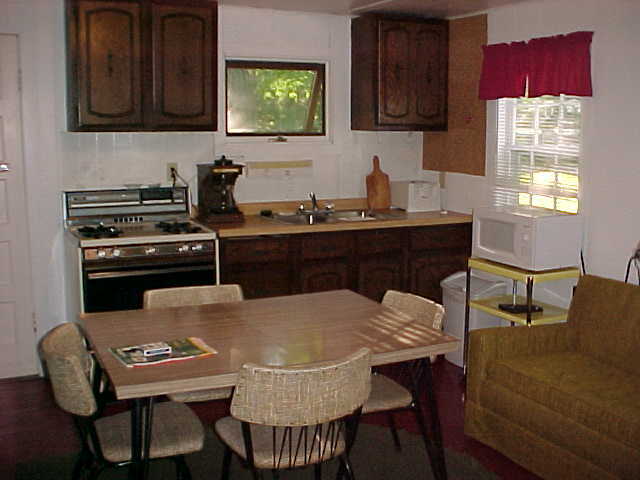 It includes a master suite with queen-sized bed with TV, bathroom, The suite also has its own microwave, coffeemaker and small refrigerator. 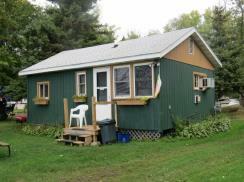 The cabin will accommodate up to 8 people. 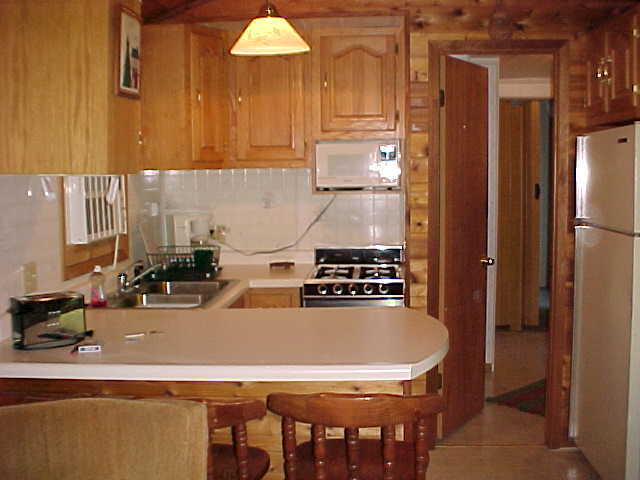 All of our cabins are modern, clean and ready for your comfort and relaxation at the lake. 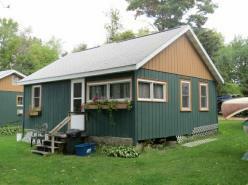 The cabins are located on level ground, no steep hills to the lake! 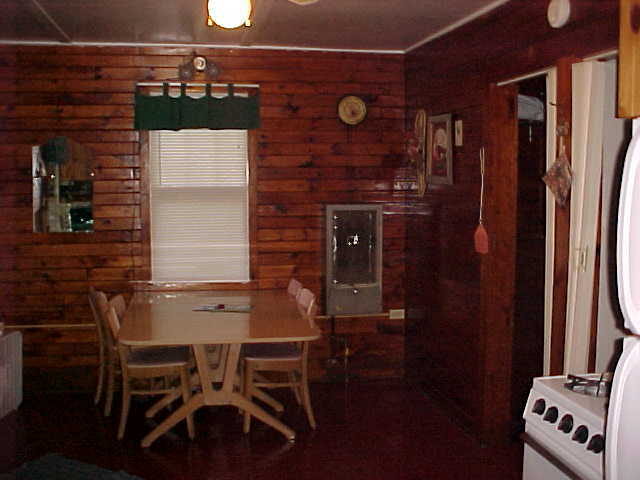 All the cabins have heat for the occasional chilly nights and air-conditioning for the hot and humid dog days of summer. 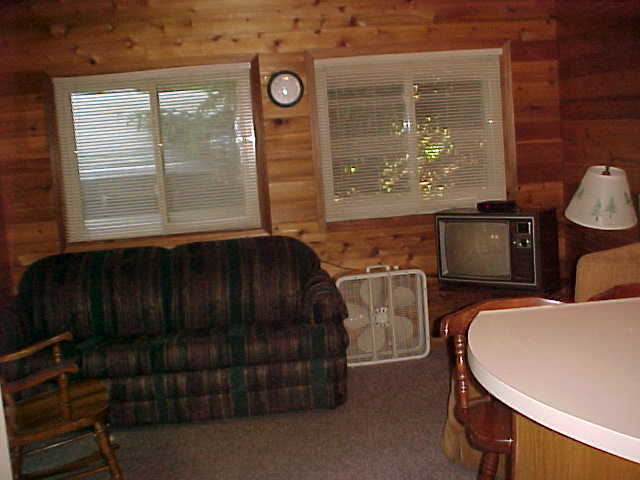 Each cabin is completely furnished. 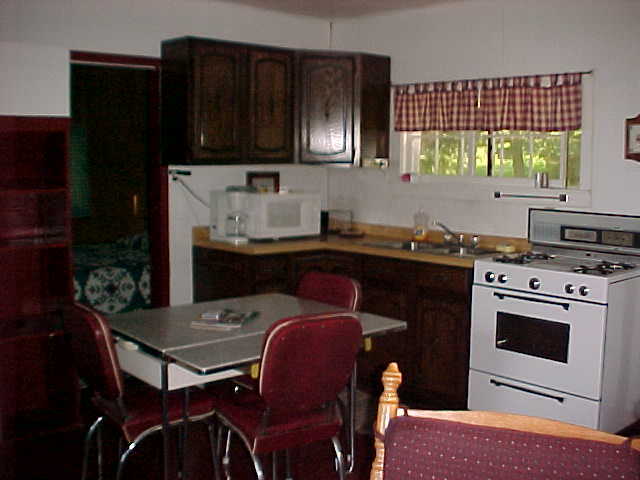 The kitchens are equipped with natural gas range, refrigerator, microwave, toaster and coffee makers. 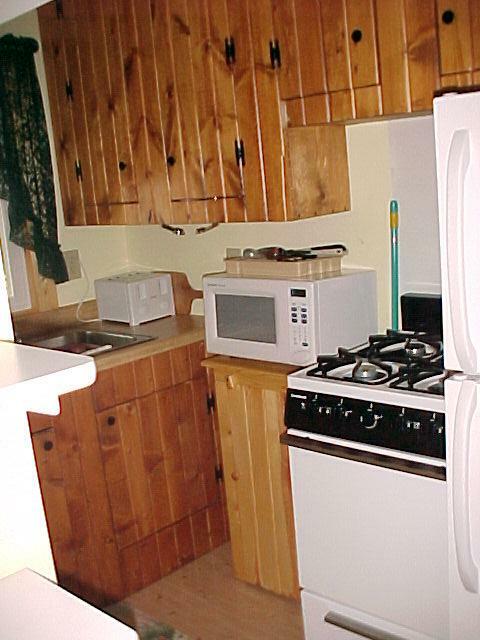 All dishes, flatware and pots and pans are provided. Bed linens are provided but towels are not provided. 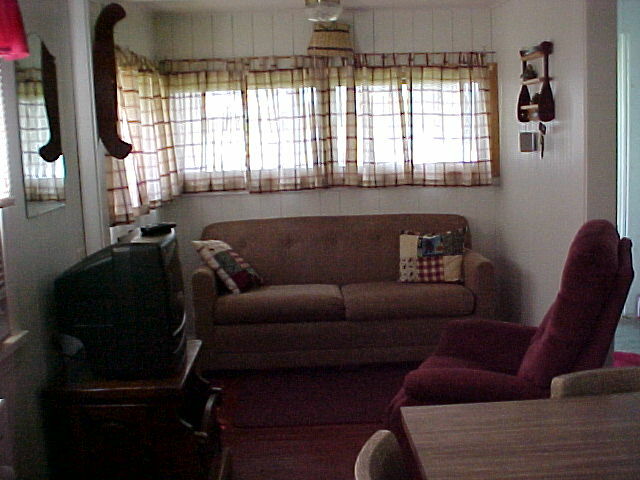 Cable TV is provided in each cabin, 2 TVs in cabin 5. Picnic tables, grills and outdoor seating is provided. 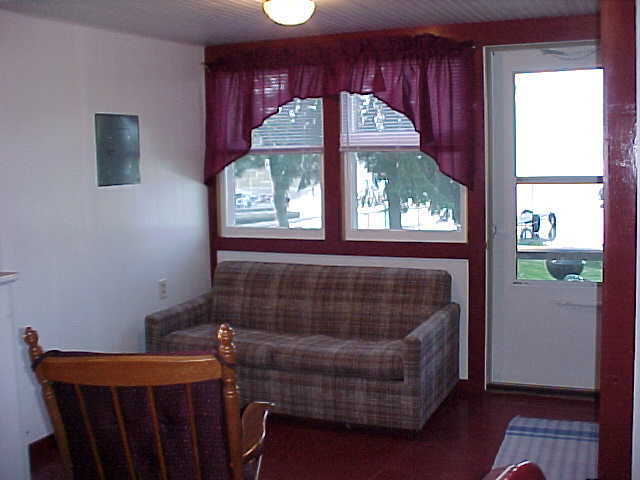 A fishing boat or dock space is included with each cabin rental. 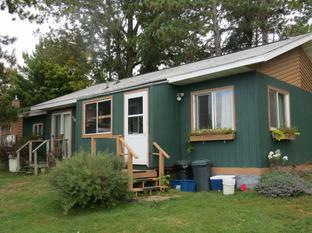 There is a fish cleaning facility and a large chest freezer available for customer use. Ice can be purchased at the resort. We offer free use of canoes, kayaks and paddleboats to our resorters. For our small visitors, we have a "jungle gym" for their enjoyment. We do NOT allow pets, this is a strict policy, as we own two Labradors - Gabby and Nellie and a very spunky dachshund, Penny - this is their home. We take responsibility for our pets but cannot for others - we know how important pets are to people, but we cannot allow them for added insurance and liability reasons, sorry. 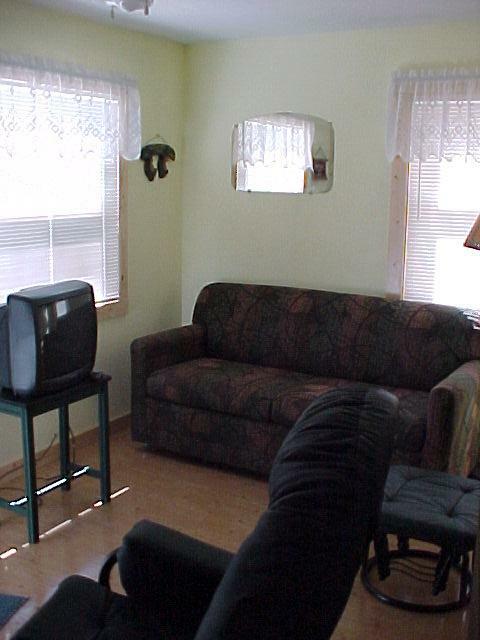 There are several very nice boarding facilities in the area that we can suggest if needed. 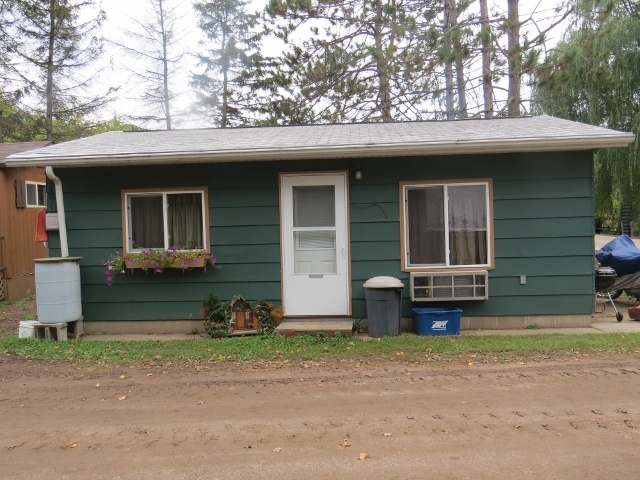 The Rice Lake area provides a variety of activities. 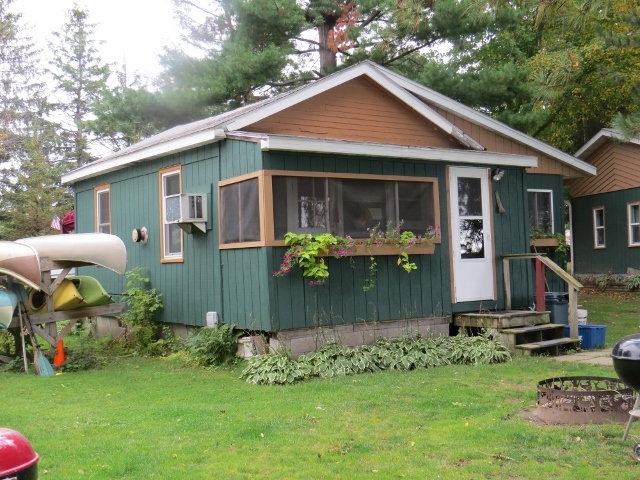 Hunting, fishing, water and snow skiing, snowboarding, snowshoeing, hiking, canoeing, kayaking, sailing, swimming, ATV trails and golfing are among the recreational activities to enjoy. There are several area theater companies, dining, shopping, antique and flea markets, casino gambling, movies, museums and small town festivities for our guests to enjoy as well. Thank you for visiting our site.We hope you will consider visiting our beautiful area and enjoy all it has to offer!